The final mile should never be underestimated or an afterthought in the customer journey. It’s the last battleground in a long campaign to win the loyalty of a customer. The purchase isn’t complete until your product is in their hands, and how it gets there matters. You’ll need the right shipping partner to make the delivery experience smooth and to leave a positive lasting impression with your customers. Some see the final mile as a sprint to the finish, but in reality it’s about a lot more than just delivery speed. Convenience, flexibility, personalization and communication are just as important. Learn how to ace the final mile and create loyal shoppers. 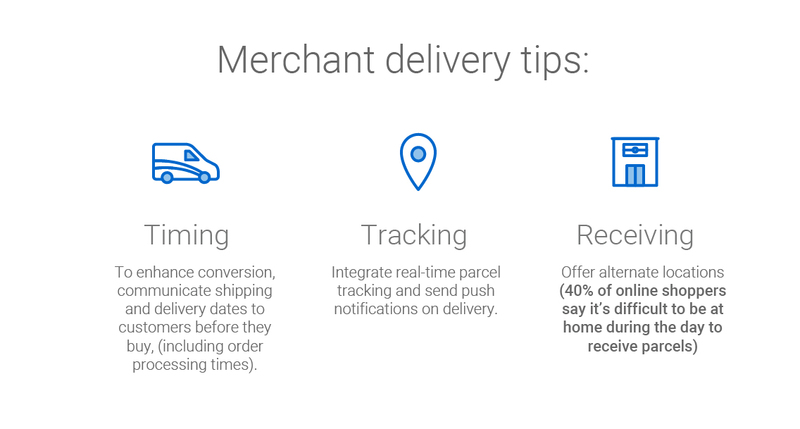 There are many merchants who have set the bar high for the delivery experience, and continue to raise it – along with customer expectations. Knowing the best practices of other companies is important, but acknowledging that shoppers have unique needs, which can change from one order to another, is key. They expect you to adapt and deliver what they want. The delivery experience you offer will influence first-time purchases, inspire repeat business and increase brand loyalty. Make and keep promises to your customers from the outset. It’s critical to make clear delivery promises as soon as a potential shopper visits your site – especially if it’s their first time. Knowing when their order will arrive can influence whether they will shop with you or take their business elsewhere. As far as promises go, a tight delivery range is good, but a precise delivery date is best. Keep fulfillment in mind. The clock starts ticking when the order is complete, so make sure you factor your fulfillment time into your delivery promises. Bear in mind that 45 per cent of shoppers think order processing shouldn’t take more than a day. Keep communications open. During your busiest selling seasons, you may need to manage expectations and adjust your promises. Try to let your customers know about any delays upfront. Keep a tight ship. Forty per cent of shoppers have had a negative delivery experience, and 28% said they would not purchase from a retailer after one. The final mile has a direct impact on shopper loyalty and business growth. Choose your delivery partner carefully because that company will represent your brand on the final leg of the journey. They should be capable of meeting the increasingly demanding shopper expectations and be able to keep up during your busiest selling seasons. With careful consideration, the right partner and a confident strategy, you’ll deliver exactly what your customers want, when they want it. Give your customers options. 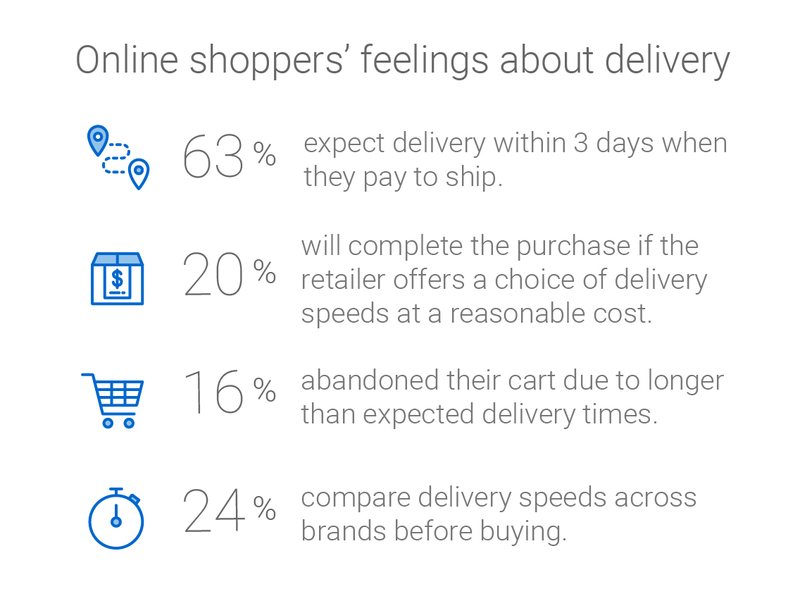 If you give customers a choice of delivery speeds, you’ll be able to meet the needs of those who don’t mind waiting to save money, and those who are willing to pay for a speedy delivery. A last-minute shopper might need next-day delivery, while a think-ahead customer may prefer to wait in exchange for lower shipping fees or an enticing offer. Speed is particularly important in larger cities where shoppers are used to fast delivery from big retailers. Charging for speed may also allow you to offset some of the cost of free shipping offers. Enable customers to pay for speed if they are far away. Offering faster delivery options can help you reach out-of-the-way areas quickly and competitively. You may use a faster service if, say, you ship out of Ontario but want your British Columbia customers to get the same delivery speed and experience as in-province shoppers. Work with your partner. Your delivery partner can work with you to create a strategy that ensures that you are prepared to make strong commitments to all of your customers, and deliver on them. Make your options work for your customers. Canadian shoppers want a choice of convenient delivery options. They crave solutions that suit their lifestyles and fit smoothly into their daily routines. It’s all about delivery location. Brick-and-mortar retailers have an advantage. They can use their network to offer pickup service at a nearby store. Some customers prefer receiving their deliveries at their door, or in the parcel locker in their lobby, or the option to stop by a post office on the way home from work. Consumers want to be able to customize, control and tailor their receiving experience. And they want frequent delivery updates, so they can track their purchases in transit. Choose the right partner for your business. Canada is a huge country, so look for a delivery partner that can extend your reach and your footprint. Canada Post is a great partner – almost three quarters of online shoppers would like the option to have items delivered directly to one of Canada Post’s 6,200 post offices. Gather feedback from customers. When it comes to crafting an ideal receiving experience, listening to what consumers want is always a good call. Fifty-four per cent of online shoppers prefer Canada Post for e-commerce deliveries, and a third say it’s an inconvenience when they aren’t able to select their preferred carrier. 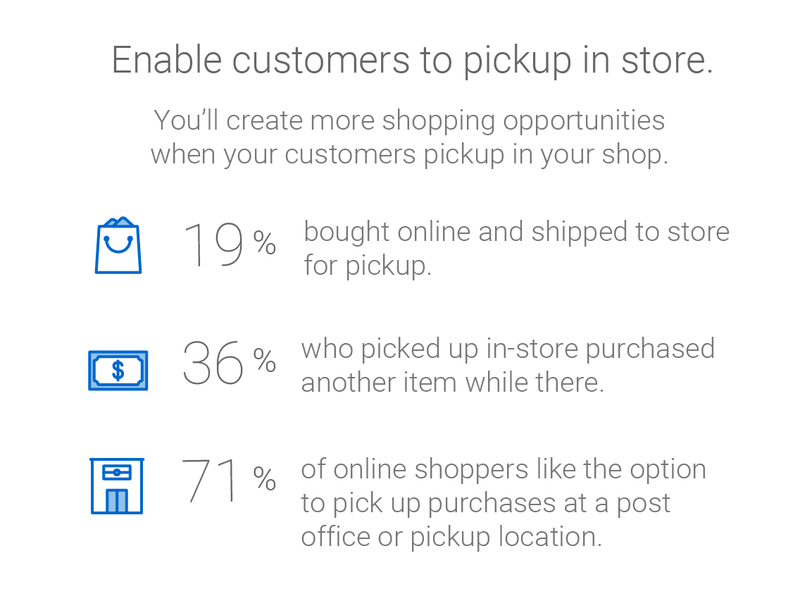 Among Canada’s hyper shoppers (shoppers who make more than 40 purchases a year online), 16% said delivery carrier visibility at checkout drives their decision to complete their online purchase. The final mile matters to more than just your customers. As a merchant, you want every aspect of your business to be convenient and professional for your customers, so don’t underestimate the importance of a good receiving experience. When you put your best foot forward for others, they notice. After all, isn’t loyalty all about noticing that someone is doing their best for you and rewarding them for it? Learn from our e-commerce research, practical tools and industry partners.